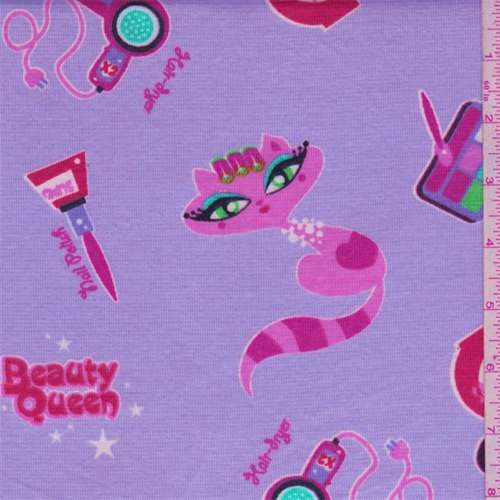 Light/mid weight cotton knit with a juvenile makeup beauty queen print. Soft and smooth surface with nice drape and moderate stretch in the width. Suitable for knit tops, dresses and leggings. May also use for pajamas but this fabric is not flame retardant. Machine washable.